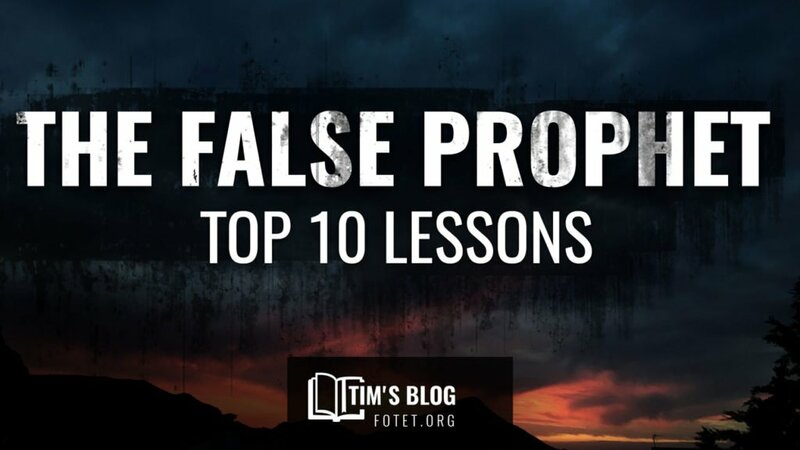 Here are 10 lessons concerning the truth about the false prophet. There seems to be a good bit of confusion about this important end time individual so we thought we would share these 10 bullet points to recap our class teaching. 1. The Quran is being used by Satan to deceive Muslim’s into following a false, end-time narrative aimed at defeating Israel and God’s end-time plans. 2. The term “False Prophet” is speaking of Muhammad and how the religious system of Muhammad will rule Satan’s final empire and cause men to bow down to Antichrist. 3. To Muhammad, the Jesus of the Bible wasn’t perfect enough and needed to be reconstructed to fit the false story of Islam. 4. Muslim’s are anticipating the return of Jesus (Isa – The Muslim Jesus) as a Muslim in the last days. This false version of Islam’s Jesus or Isa, closely parallels the person that the Bible calls the False Prophet in Revelation 13:11-18. 5. The Image of the Beast that comes alive and speaks is a depiction of mosques broadcasting the call to prayer from minarets out over millions of loudspeakers throughout the nations of the Caliphate. The Muslim call to prayer forces all men to worship (bow prostrate) in allegiance to Islam. 6. The Apostle John saw and heard the Muslim call to prayer and watched men being forced to bow prostrate. The False Prophet, the Muslim Jesus, will order those who refuse to bow to be beheaded – Rev. 20:4. The Muslim Jesus, Isa, will become Islam’s chief executioner slaying millions of martyrs in the Tribulation – Rev. 7:9. 7. The Mark of the Beast is not a technology or artificial intelligence as some believe but are the traditional, Islamic Caliphate headband and armband identifications showing allegiance to Antichrist and loyalty to the Islamic Empire. 8. 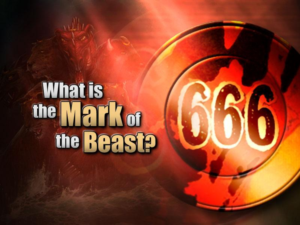 The Mark of the Beast and the miracles performed by the False Prophet are not used worldwide. There is no one-world government. Rather, these are tools used within the geographic region under the control of the Caliphate that are imposed, “in the sight of the beast” (within the Caliphate) – Rev. 13:14. Bowing to the Image and the Mark of the Beast represent ways to “force conversion” on the captured people and the newly captured nations of the Caliphate (Not the whole world). 9. The Mark of the Beast is Antichrist’s “Tribulation Trademark,” for without it, no one can buy or sell. It’s possible the Caliphate will issue its own currency which would be made available exclusively for those who swear allegiance to the Caliphate and wear the Mark. Those who refuse the Mark will therefore not be able to buy or sell which serves to isolate them and forces them into starvation. 10. Satan’s system is a sham and when Jesus Christ returns he will punish Satan, Antichrist and the False Prophet for deceiving the world – Rev. 19:20 Antichrist was seized, and with him the false prophet who performed the signs in his presence, by which he deceived those who had received the mark of the beast and those who worshiped his image; these two were thrown alive into the lake of fire which burns with brimstone.